Online writing companies are certainly not equal – not in quality, not in service, and not in price. Like any product you buy, you have choices to make about how much you spend and whether you can buy the cheaper one or should go with the more expensive one. For example, if you were considering purchasing a bike to use as your main form of transportation on campus every day, you would probably prefer an expensive higher quality model. If, on the other hand, you are buying a bike for very occasional use, you could purchase a cheaper model. Generally, quality increases as price does. Now think about essay writing services. You have quality, service and pricing options with these products too. Taking all of these into consideration you will have to choose what is best for you. For students who are curious how to tell the difference between a quality service and a scam our advice is to go on reading. For those who need a paper for yesterday our recommendation is to choose either EvoEssay.com or Rewardedessays.com - services that proved their trustworthiness over the years. Just as a used car, the essay or paper will be “as is,” and you will have no recourse if you do not like it or cannot submit it because it will not pass a plagiarism scan. No communication than through the ordering and delivery process. Obviously the cost will be higher, because quality writers, service and products are being provided. Now, think about that bike purchase again. You need high or low quality based upon the use of that item. The same is true for academic writing. If you don’t need a top quality original written work, then you don’t need to order products from EvoEssay. But we believe you do need these things, and we will never provide anything less. Essay Writing is Not All We Do. EvoEssay is a full service writing company, which means that we have the experts to offer any type or writing – academic, business, professional, and Internet-based. While our long history in the academic writing business has established our stellar reputation, we have gradually, over the years, expanded our services as needs among consumers have grown. Today, we are proud to have thousands of researchers, writers, and editors – all qualified in specific writing areas, and all producing exceptional original writing every day. What follows is an explanation of all of our products and services. High School and College Essay Writing - service for academic success: For students at all academic levels, we have writers. Essays come in all “shapes and sizes,” from basic high school English essays of all purposes, to reaction, response and research essays at the graduate level. The high school student who needs a 5-paragraph essay for an English class will receive a personal writer with a Bachelor’s degree in English; a graduate student in business who must write a reaction essay to a speech by Indra Nooyi, CEO of PepsiCo, will have a Ph.D. business expert as a personal consultant. An undergraduate student who must write an argumentative essay on eugenics will have to conduct research, and his/her writer will possess a Master’s in genetics. Research Papers: The same procedures apply for student orders for term and research papers. In all cases, writers are assigned who are qualified to research in write in the fields and academic levels requested. Additional Academic Works: We produce book and movie reviews, lab reports, case studies, homework assignments, research projects, annotated bibliographies, abstracts, presentations and more. Major Graduate Level Works: Thesis and dissertation help will include a personal Ph.D. consultant to assist with any or all sections and chapters. Essay Editing Service: If you have completed an essay, paper, or any other piece of writing, we have a staff of English writing experts who will edit and proofread your piece, adding the polish it needs to get a great grade. Admissions and Scholarship Essays: Creativity and great writing talent are both required for stunning essays that will make you memorable to decision makers. Our clients give us great feedback on the work of these great writers. Business Proposals: When companies see new clients, the written business proposal is a critical feature of the “sales” campaign. When provided with all of the details, we can assign the perfect MBA to the job. Formal Reports: These may need to be provided to clients, stockholders, etc. on a quarterly or annual basis, and often include important graphs and charts relating to performance, profits/losses, etc. Depending upon the business niche and type of report, we may put a small team on the project. White Papers: Formerly reserved for primarily government departments, these are becoming more and more common within business organizations, as organization and departments within business organizations must prepare written explanations new products and services. This is especially true with technology-based companies. Presentations: Business leaders who must make oral presentations with related graphics and media often use our business team to prepare them. And, as will of our professional writing services, the writing and designing will continue until satisfaction is achieved. This category of writing encompasses a large swath of specific types. If you are in need of any of the following types of writing, we have a huge staff of very diverse experts to meet any needs. Grant Writing: Individuals, research teams and other non-profit organizations seek funding from large foundations and organizations. In order to obtain this funding, they must write grant proposals – lengthy and complex works that must be perfect. We have a group of grant writers with years of experience and who can make “fast work” of grant proposals. All you need to do is place your order, send all of the details, and let your writer go to work. During this process, there will be many discussions because due to the complex nature of the product, but, then, that is why we are so widely known as such a professional writing service. We do not just write for our clients – we consult and collaborate with them. Resumes, CV’s, and Cover Letters: This is an area of huge demand for us, and we are continually expanding our designers and writers to produce the most exceptional and engaging applicant packages for our clients. Getting them to their goals of those interviews and, ultimately, employment is the single goal of this department. To this end, the client’s career field is matched with the writer most suited for that field, because resume and CV copy and design must be tailored very specifically. Journal Articles: Many career professionals labor under the “publish or perish” rule. In other words they must contribute to professional publications and/or write books. If they are not accomplished writers, they often need “ghostwriters,” and we have them in all fields. Aside from our essay service, this aspect of our business has been the fastest growing one. As web-based businesses and marketing have exponentially exploded, the need for content writing has as well. We continue to add to this department and are able to offer virtually every type of copywriting a web-based entrepreneur might want or need. Web Design and Content: A stunning website, utilizing the latest technology, graphics and media is crucial. Your site must be attractive, entertaining, easy to navigate, and “friendly” to all devices. Your content needs to be well-written, well-laid out, and must have structure and vocabulary that is appropriate for your audience and potential customer base. Blogs and Articles: Any Internet business must have a blog – it serves so many purposes. It brings visitors if the content is great and it is “advertised all over on other web places – social media accounts, twitter “teasers,” and on the social media sites of our current customers and followers. The better the content, and the more that content is spread, the more your business grows. Likewise, articles strategically placed in popular directories will link back to your site. Content marketing, as it is called, is becoming more and more sophisticated and our specialists have full expertise in these strategies. Website Review: We have a team that will review your website, based upon very specific criteria, on a regular basis, and update it to continually keep your site compelling and interesting. All writing is original and checked for plagiarism before it is sent over to a client. 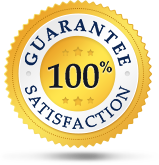 Your satisfaction is guaranteed, because no personal writer stops working until you have completely approved of what has been produced for you. Our customer service center is open around the clock, 7 days a week. You can contact us by live chat, email, and telephone. Deadlines you give us will always be honored. Writing is not something that most people love to do. At EvoEssay, our passion is writing, and everyone who works here loves it!